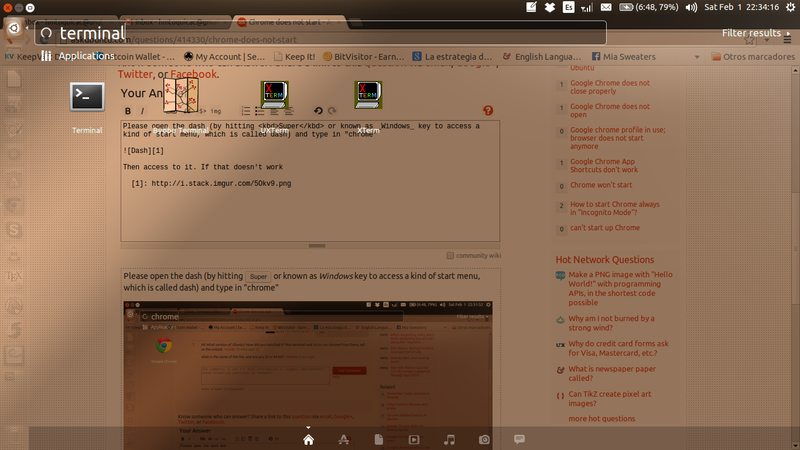 I installed Chrome on Ubuntu and it does not work . Appears only the icon, click on it and does not work. Please open the dash (by hitting Super or known as Windows key to access a kind of start menu, which is called dash) and type in "terminal"
And then a terminal will open (it looks like a black window with white letter on it), and type in `google-chrome. If that works and hitting the icon doesn't, please restart your computer and try again. PS: Please let us know if that works (by hitting on accept answer) or if that doesnt' so we can keep working on it.